When you thought that taking out a logbook loan against your vehicle was the only answer to being in a financial tight spot, there may be another option available to you. If you're in a more fortunate position of owning a car that you don't use on a day-to-day basis, pawning that car could be a viable alternative for you. While a logbook loan allows you to continue driving your vehicle as you normally would do while withdrawing the cash from it, pawning you car is a fantastic way to release the money from it without actually having to sell the vehicle. At Car Cash Point, we offer our Prestige And Vintage service for standard logbook loans as well as car pawning, to release the money in quality cars. With this service, we look to offer higher value loans against exclusive cars such as Aston Martins, Rolls Royce, Porsche or Lamborghini, so you're not forced into making a sale for a much-reduced figure. How does pawning my car work? Typically, a Pawnbroker or a Pawn Shop will offer you a secured loan against relatively high value household items such as watches, jewellery, games consoles or power tools, using the item as security against the loan amount you've received. An agreed time period is agreed for the loan to be repaid (including interest) at which point the item can then be collected by the customer. If the loan isn't repaid, the pawnbroker will then keep the item and sell it on to other customers. Alternatively, people arrange to sell their items to the pawn shop outright. As with any pawnbroker, car pawning follows a similar process that's also very simple. But when you want to pawn your car, the item you're pawning happens to be worth more financially, is a lot bigger in size and Prestige And Vintage will act as your pawnbroker. Why should I pawn my car? Everyone reaches a point where they might need some extra financial help, whether it's for business, pleasure or everyday life. If you are fortunate enough to own a second car that is a quality make and maybe even a classic, then you might be forgiven for thinking you'd need to sell it to get the money you need. If selling were your only option, depending on the speed at which you needed the money, you may end up cornered into accepting a greatly reduced sum from a trade buyer at the point of sale. So, you end up losing the car and also not getting much for it. In this situation, pawning your car could be the ideal solution for you. The car is still yours, albeit stored at another location, but once the loan is repaid, you can be reunited with it and drive it away once more. Once you've made your decision to pawn rather than sell, simply apply online at https://www.carcashpoint.co.uk/prestige-and-vintage/, complete the form and we'll be in contact. After your Prestige And Vintage application has been received, one of our experienced representatives will call you directly to discuss the pawning of your car. They'll ask you a few questions regarding your vehicle, confirm you are the legal owner and verify that the car is free from finance. You'll also be able to raise any queries or concerns you may have about the process. After all, your classic car is likely to be your pride and joy and having to pawn it in a time when finances may be tight, you naturally want to ensure you get a good price for it and that the car will be looked after. Once your initial conversation is over, we'll arrange for one of our vehicle specialists to visit you to view the car in order to make an initial assessment of the car's trade value. The loan amount you can expect to receive will be dependent on the trade market value at that time, as well as the overall condition of the vehicle. In keeping with our logbook loans, Prestige And Vintage will be able to lend up to 75% of the vehicle value, but, this is based on the formal valuation by our trade specialist at the time. However we can often loan up to as much as £100,000. Once the loan amount is finalised and the paperwork signed, we'll arrange for the careful transportation of your car to a secure facility while your loan gets transferred into your bank account. This happens on the same day and usually within just one hour to help you as quickly as possible. What will happen to my car when it's pawned? We know that a classic, old or expensive car--or a mix of all three-- can be someone's prized possession. The likelihood is that the car is being pawned to release a large sum of money that's needed quickly to cover an emergency or other pressing need. This will usually be as a last resort with the owner resistant to it happening at all. However, once loan has been transferred, Car Cash Point are then in charge of you car until the loan is repaid. As part of our Prestige And Vintage service, we are contracted to give your car the very best treatment while it's in our possession. We will arrange for secure transportation of the pawned car from any location of your choice anywhere in England and Wales. We'll then deliver it to our safe and secure compound. Alternatively, you can drive the car to the storage facility yourself to ensure its safe arrival. Your vehicle will be stored in a temperature-controlled and dehumidified environment, absolutely free of charge during its time with us. The storage facility is also completely safe and secure, so you'd need never worry about it being neglected or unsafe. Occasionally, some of the cars we take on are already stored in another similar secure location. If this is the case with your car, and you'd prefer it to stay exactly where it is, please make sure you tell your representative and we will do our best to try and ensure it can stay there. As we know, cars are designed and built to be driven and not stand idly by for lengthy periods of time. This is why the Prestige And Vintage service adds a little light maintenance into the deal as well. During the car's stay, it will receive ongoing car care and checks to ensure everything's running smoothly. This mini-service includes trickle charges every week, a monthly start-up and wheel rotation every other month. We also include a regular car wash to endure the bodywork is kept in the best condition. So while you vehicle is with us, you can be guaranteed it will be given the attention and protection it deserves. When your loan is repaid in full, we also guarantee to return your car back to you, again via safe, unmarked transportation, to any location you should specify in exactly the same condition as when you left it with us. 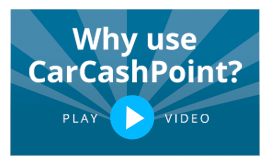 Car Cash Point will give you the best value loan based on the valuation, give you a favourable repayment period to suit your finances and you'll get your pride and joy back at the end of the loan. That's a pretty compelling reason to pawn your car over selling it outright. While taking the decision to pawn your car may well be a difficult one, it's perhaps the best option in the long run. Though the process can be nerve wracking, especially if you've never needed to pawn a car before, at Car Cash Point, we promise to give you the best deal possible on your Prestige And Vintage car. This article should have gone some way towards allaying any fears you may have, but if you're unsure of anything, please do call us on 0333 220 4419. Car Cash Point are fully regulated and authorised by the Financial Conduct Authority and a proud member of the Consumer Credit Trade Association, whose Code of Conduct we are fully compliant with. We are also responsible lenders and committed to providing the highest levels of customer service to help you. What's more, Car Cash Point will never be beaten on price. We pride ourselves in offering the cheapest and best value logbook loans and pawn my car services in the UK. In fact, if you get a lower rate elsewhere, we'll beat the price by 10% - guaranteed! We have one of the best APR's around at a maximum of 230.70% and our repayment terms range from six months to five years to give you the most appropriate level of repayment. Plus, you can settle your loan at any point with no penalties and pay less interest. So what are you waiting for? Call our team today on 0333 220 4419 and release the cash from your car today.